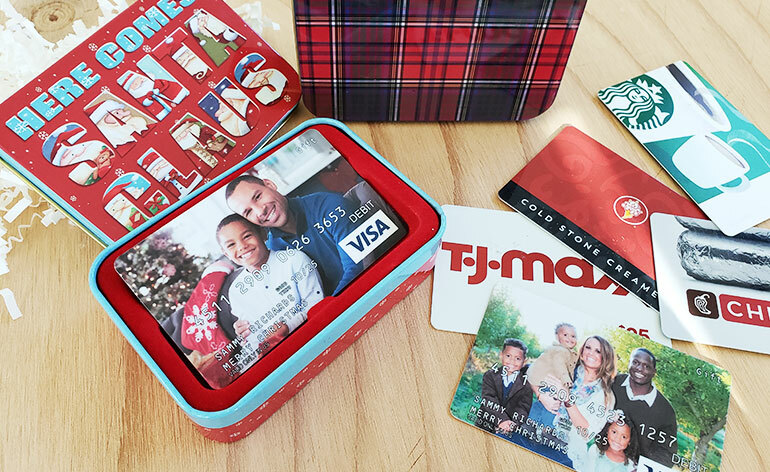 Ready to up-level your gift card giving? 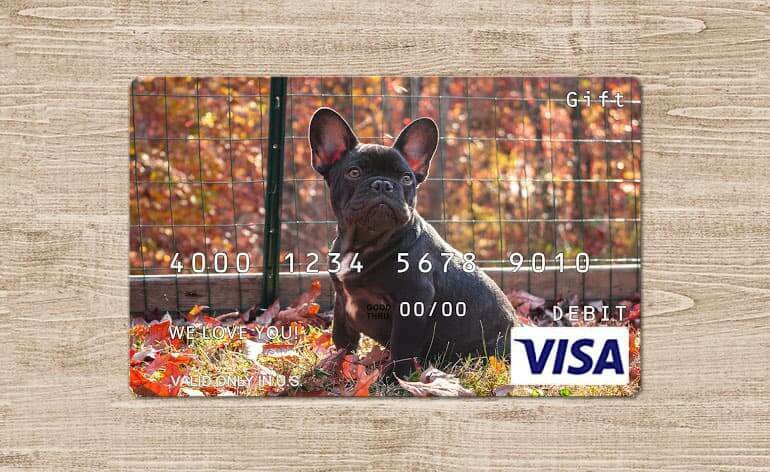 Get inspired by these creative ways to make custom Visa gift cards or Custom Mastercard® gift cards. For the past few weeks, I’ve been working with a team of BYU on-campus interns. 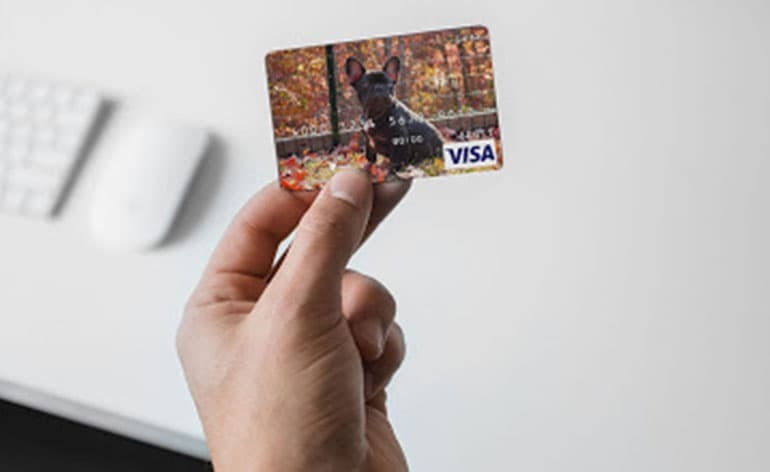 To give the students an opportunity to test some of our best products, I made custom Visa gift cards for each person on the team. Since I didn’t have photos of my own to use, I used images from their social media accounts. And since I wanted them to truly be surprised by the gift, I didn’t tell them the cards were coming. As explained below, some of the photos I picked were better than others. Zack Wixom will explain. There is a weird stigma with gift cards. People often love RECEIVING gift cards because, duh, free money. However, people sometimes don’t love GIVING gift cards for a variety of reasons. I asked a few friends for insight on the struggle. All agreed that the main reason they sometimes avoid giving gift cards is that doing so feels like they aren’t being thoughtful enough in their gift-giving, especially if the recipient is a close friend or family member. A few months ago, I would have agreed. But receiving a particular gift card changed my mind. 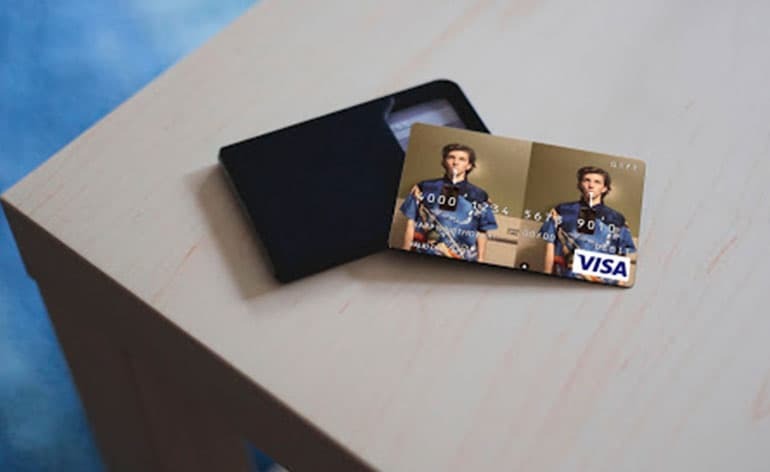 I recently received a custom Visa card. Because the giver wanted to surprise me, she didn’t ask for a photo. And because she doesn’t know me well enough to have photos of me on her camera or mobile device, she had to turn to social media to find a suitable image. The experience, however, got me to thinking about fun custom Visa gift cards I could make to get a reaction out of recipients. Whether the gift card draws a smile, a laugh, or a groan, it would still make for a personalized and thoughtful gift. 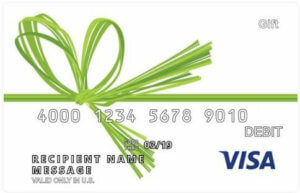 Making custom Visa gift cards also erases any notion that the gift card is an effortless gift. 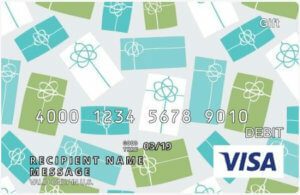 Below are some ideas to get you started on making custom Visa gift cards of your own. Wedding etiquette says you have up to a year to send a gift, so you should have plenty of time to find a photo from the wedding after the big event. 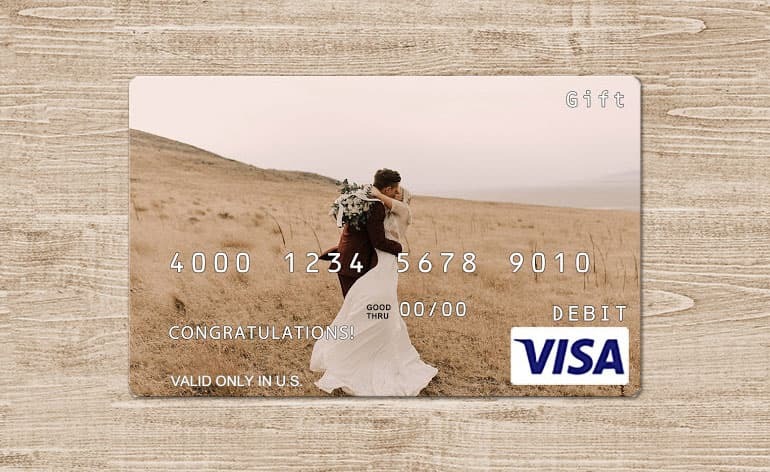 If you want to make a custom gift card before the wedding, use an engagement photo instead. Below is an example of my wife and I during our bridal photo shoot! In addition to posed and perfect professional photos, candid shots that recipients will not expect to see make fun gifts as well. 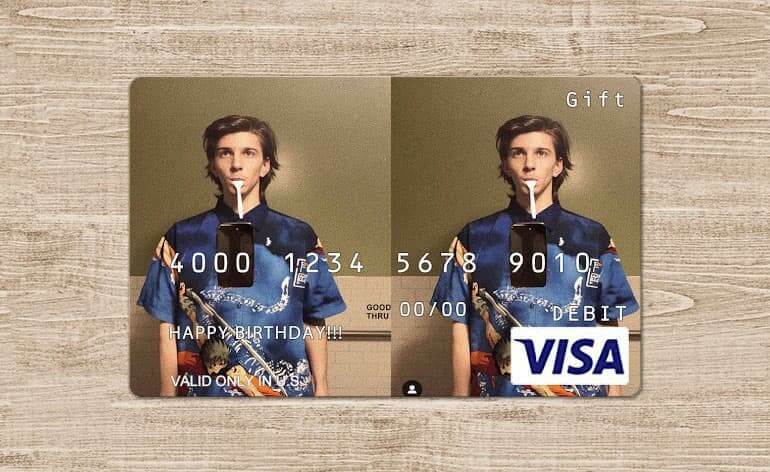 The gift card below features a picture that my brother-in-law posted on Instagram. 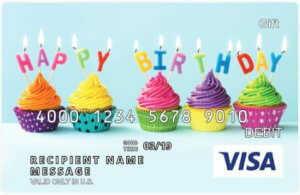 I know he would love getting this as a custom Visa card! People love their pets. Enough said. People also love their babies. 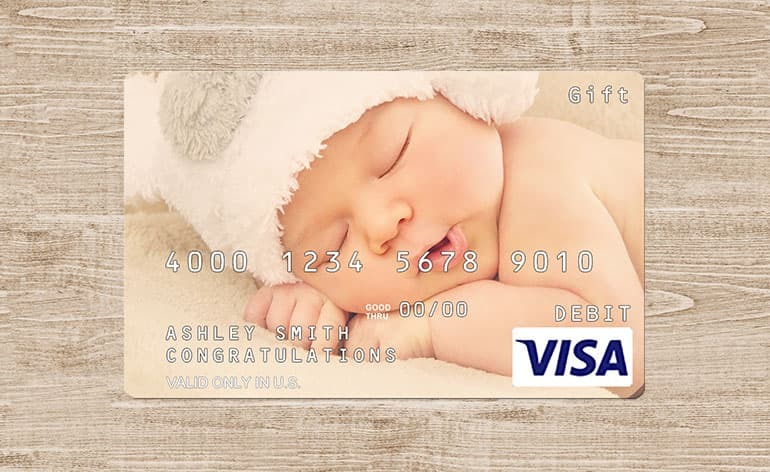 Putting a picture of a newborn on a custom gift card is a great way to deliver a thoughtful gift while also giving new parents the opportunity to buy whatever they need. A current picture of a sibling would make a fun gift. An old picture from when you were kids, might get a bigger reaction though. Dig through old photo albums to find a picture that will make everybody smile. I wanted to upload a photo of “Harold” from a popular meme, but that idea got rejected because there are some image restrictions on custom gift cards. For example, you can’t make a card using a photo of a famous person or a licensed character. You can’t use pictures of dead animals (think of your friends who like to hunt) or anything that would be considered culturally insensitive. Rather than dig for a funny meme, I found it easiest to just use my own personal images and some paid-for stock photography to demonstrate how easy it is to make gift cards that will get a reaction. Isn’t that the goal of gift-giving after all–to surprise the recipient with your spot-on delivery of the perfect gift? As much as I hesitated to give gift cards prior to receiving a custom gift card, I am now convinced that making your own personalized gift cards can remove the negative stigma sometimes attached to gift card giving. With a photo perfectly suited to the occasion and the recipient, all of my concerns about gift cards being thoughtless gifts are gone. 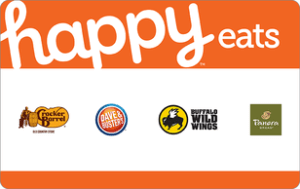 Did you know that I was a customer of GiftCards.com before I joined the team? It’s true. About ten years ago, I created a website to share ways to make gift cards more personal. 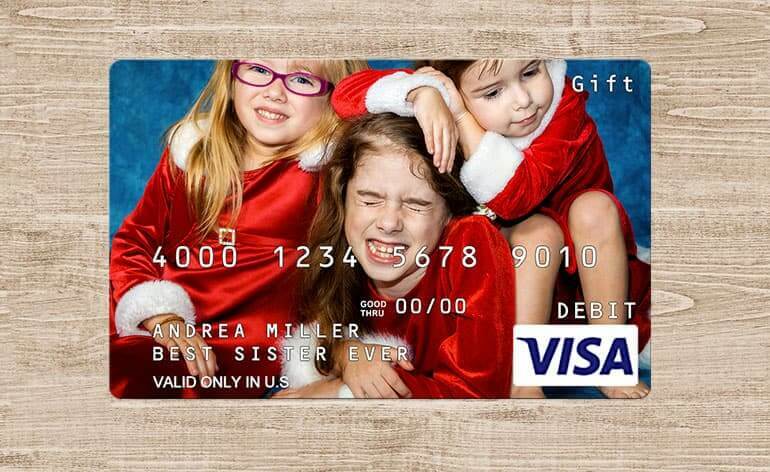 Adding a photo to a gift card was at the top of my list. Now, nearly a decade later, I still think this is one of the best ways to make gift card giving a better experience for both the giver and the receiver. If you have questions about making a custom gift card or need gift card help in general, let me know in the comments below or reach out to me on Twitter (@GCGirlfriend) or Instagram (@Gift.Card.Girlfriend). I’m Zack Wixom! I am happily married to my high school sweetheart and am studying marketing at Brigham Young University (and if it was possible I’d minor in the art of binge watching Netflix). I was born and raised in Utah along the Wasatch Mountains which means I’ve done just about every outdoor activity you can think of. Traveling and meditation keep my stress at bay, but really I just try to enjoy life as I figure it out.